There’s never been a more important time for a day devoted to open dialogue with local, regional and national news media & the public’s right to know. 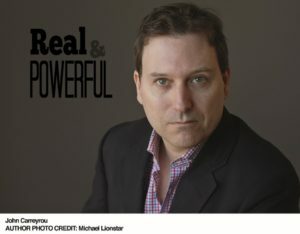 Make plans now to attend, exhibit or sponsor the Fair Media Council’s annual event, “The News Conference: Real & Powerful,” which features breakfast with Newsday owner & CEO Patrick Dolan, lunch with two-time Pulitzer Prize-winning investigative reporter John Carreyrou of the Wall Street Journal, and 12 panel discussions with local, regional and national news reporters, editors, anchors and news directors to take you behind the scenes in news today. The conference will be held on Thursday, Nov. 29, 8 am to 4 pm at The Garden City Hotel, which is situated directly across the street from the LIRR’s Garden City station. Attendance for the day, which includes breakfast, lunch and a choice of three panel discussions from the 12 offered will earn attendees a certificate in communications strategy, communications management or communications leadership, depending upon which breakout sessions are chosen. The day kicks off with networking and breakfast in the Grand Ballroom at The Garden City Hotel and focuses on the future of Long Island local news. Fair Media Council’s Jaci Clement will discuss that topic with the key figure behind Long Island news today: Patrick Dolan, owner and CEO of Newsday and Founder of News12 Networks. Questions from the audience will be part of the forum. At lunch, attendees will get to hear from the Wall Street Journal’s acclaimed investigative reporter John Carreyrou, who uncovered the fraud behind the Theranos blooding testing company, founded by Elizabeth Holmes, who was once likened as ‘the next Steve Jobs.’ Once a $9 billion startup that was the star of Silicon Valley, Theranos has been called the biggest failure in corporate governance in U.S. history. 3D. Learning to Echo: Got Some Press, Did You? Event faculty are news reporters, editors, news directors and anchors from local, regional and national news outlets, such as Newsday, 1010WINS, WABC-TV, WLIW/WNET, WSHU Public Radio, NBC New York, The Wall Street Journal, Long Island Business News, CBS News, FiOS1 News, CBS New York, FOX5, CBS Newsradio 880, PIX11, Anton Media Group, LongIsland.com, GreaterLongIsland.com, among others. Moderating the panel discussions are business and community leaders. Questions and open discussion within the panel discussions is the format for the day. The sessions are designed to accommodate all levels of experience and attract attendees from businesses and nonprofits throughout the New York metro area. The day is vital to the work of business, community and civic leaders, advocacy groups, government officials, spokespeople, investor relations, media relations and public relations professionals, among others. 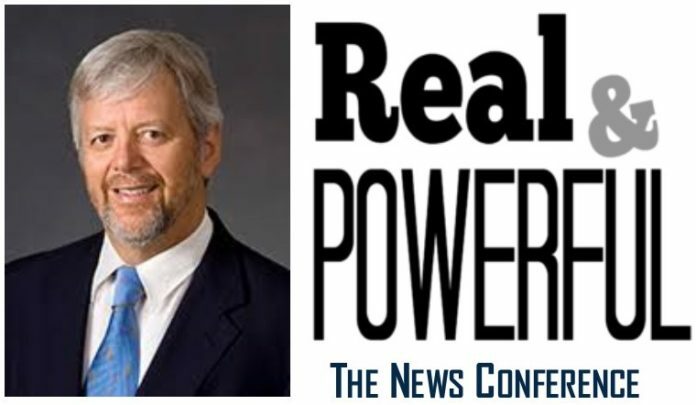 The Community Champion Sponsor of Fair Media Council’s The News Conference: Real & Powerful is Northwell Health. The law firm of Murphy Bartol & O’Brien, Long Island Cares – The Harry Chapin Food Bank, Adelphi University, St. Joseph’s College, Epoch 5 Public Relations, Synchronicity Communications, The Garden City Hotel and Ultimate Class Limousine are event sponsors. Media sponsors include Anton Media Group, Long Island Business News, LongIsland.com and GreaterPatchogue.com. To see the updated event schedule, speakers and more, click here. Preregistration is necessary. Doors open at 7.30 a.m. The event concludes by 4 p.m. 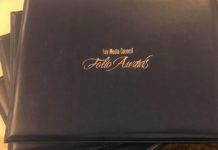 The Fair Media Council advocates for quality news and works to create a media savvy society. A 501c3 nonprofit organization unlike any in the country, FMC is headquartered on Long Island, N.Y.
For more information, call 516-224-1860, ext. 1, email info@fairmediacouncil.org or log on to www.fairmediacouncil.org.